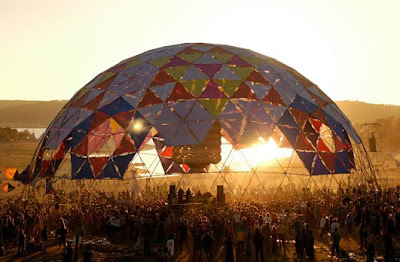 The Boom Festival in Portugal is a biennial festival which features music, paint, sculpture, video art, installations cinema, theater and a concept of cross pollination of different art and cultural forms across boundaries and nationalities. The first Boom Festival happened in 1997 with a large influence on electronic music, but nowadays Boom is a multidisciplinary event. Every year the concept has been evolving from the main base: connecting arts, culture and knowledge. Taking off as a psytrance event, Boom is now a visionary entertainment village where people can have fun but also create awareness with it ! 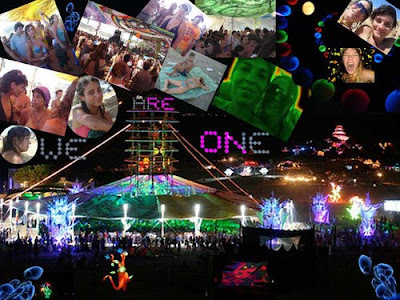 'We Are One' is a movie that follows the spirit of Boom 2006 !!! Boom Festival 2006 was once more a unique experience. Held in August full moon in Portugal, this event had its main focus towards Permaculture and Eco-consciousness. Boom emerged as a visionary Babylon of its own, where there's a special novelty waiting at every corner. 'We Are One'! is a movie that captures the spirit of Boom 2006. Featuring a cutting edge selection of music, visuals, art, installations or performances, this is a portrait of a visionary event where all people are sharing the same concepts, as One. With music from artists such as Peaking Goddess Collective, Hilight Tribe, Transwave, Ace Ventura, YabYum, Digital Mystery Tour, Electric Universe, Penta, Freakulizer and Rinkadink, Sympath and Waterjuice.